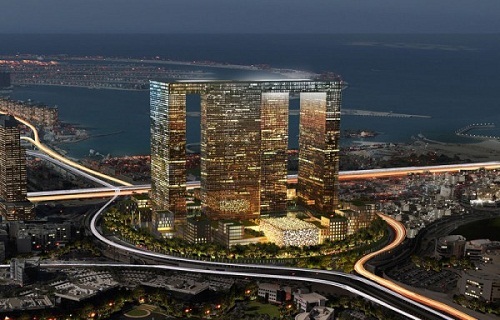 Dubai Pearl is a new residential and commercial development in Dubai situated in the newest part of the city. With magnificent views to the Gulf, the Palm Island, and the Burj Al Arab. The complex has been designed to receive Gold LEED certification and to become a new landmark for the city. Burj Khalifa (Burj Dubai) Animation – Madinat Al Hareer (City of Silk) met de 1001 meter hoge Burj Mubarak al-Kabir –New Burj Dubai Lake Fountain – Masdar City de duurzame carbon-neutral stad ! – The Palms Islands – The World Islands and The Universe Islands !